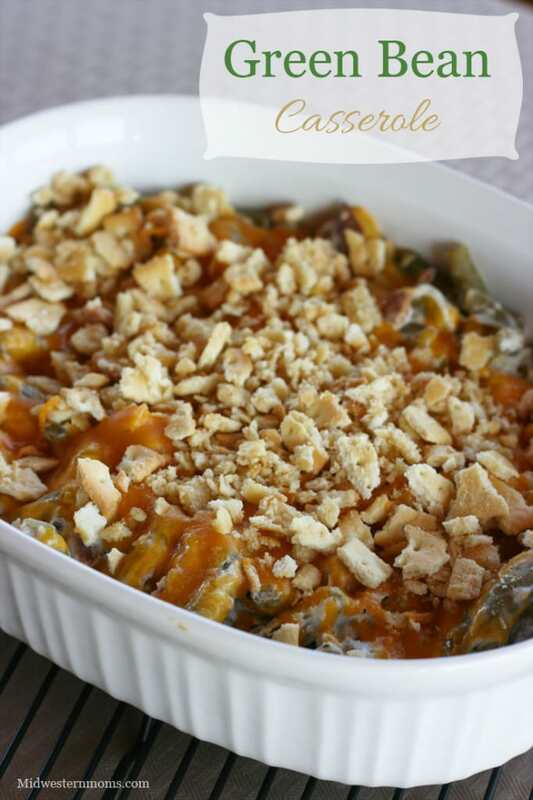 Want a new green bean casserole that will WOW the whole family during the holidays? This casserole is the best and will be having your family begging for more. Holiday’s are a crazy time of year. We are running to Grandma’s house, preparing side dishes, and scrambling trying to find an open store to get the few ingredients that my absent-minded brain has forgotten. But, do you know what makes it worth it? When the whole family is gathered around the table, eating the delicious food that everyone has prepared, and enjoying the conversations that are floating throughout the room. Growing up, we would have green bean casserole for Thanksgiving and sometimes even Christmas. You know the dish, that recipe that calls for French’s Fried Onions. Not my favorite. Just a few years ago, I tried a new green bean casserole recipe. My family was amazed at the delicious side dish and of course, they had seconds! SCORE! My recipe was requested again for our next holiday meal. A little tip: this recipe fits perfectly in this baking dish. If you enjoy this recipe, make sure you subscribe to our newsletter to get more delicious recipes sent to your inbox! If you want a green bean casserole that will make your family ask for more, this is the perfect recipe! In a Large Skillet, melt 2 tablespoons of butter. Add Flour, onion powder, salt, pepper and cook for about 1 minute. Add sour cream, bacon, and green beans. Stir until well mixed. 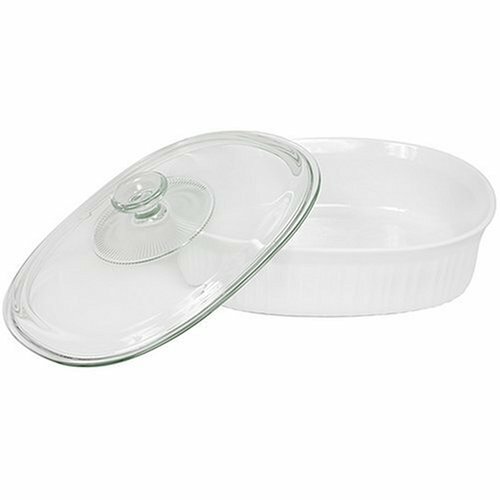 Transfer into a 2 1/2 quart baking dish. In a small bowl, mix the melted butter and crushed crackers. Add the cracker mixture to the top of the casserole. Bake at 350 degrees until cheese is melted. What are your favorite holiday side dishes? Can’t wait to try this – I am sure it will become a favorite!! We usually make the green bean casserole with the cream of mushroom soup. We are going to have to try this version with the bacon! Sounds really good. I assure you, this recipe is better than the one with the cream of mushroom soup. We loved it! Yum! This certainly puts my green bean casserole to shame. Ha! Sounds like my Hubby. He loves bacon. We love to make Chili. Most everyone likes it and it’s great for when it’s cold. Yummy! Chili sounds really good right now! My favorite holiday dish is my oat topped sweet potato crisp. I totally love green bean casserole! What a yummy recipe! Pumpkin pie is my favorite holiday dish. I look forward to it every year. Yum! My dad usually makes the pumpkin pie and it is pretty good. My favorite holiday dish is stuffing. My favorite dish is broccoli casserole! This recipe sounds really yummy. I will give this one a try at this Thanksgiving. Love green bean casseroles. Thanks Devon! Homemade mashed potatoes with turkey gravy, so delicious! Candied yams is my favorite. mashed potatoes is my very favorite side dish! 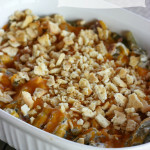 I love making green bean casserole, but this is an interesting mix! my favorite dish is my home made stuffing !!! My mother’s homemade stuffing is my favorite. My favorite holiday dish is cranberry salad. Old Fashioned Stuffing is my favorite for the holidsya. My favorite dish is the stuffing. My favorite dish is candied yams. They are so decadent and delicious. The turkey and the pumpkin pie. My favorite dish is Sweet Potato Casserole. One of my holiday favorites is pumpkin pie. My favorite dish is green bean casserole. I make it every Thanksgiving. We also make a nice stuffed shells for Thanksgiving. I am vegetarian so i don’t eat the turkey. My favorite dish is green bean casserole! Dirty Rice, my mom makes it every year. I love chorizo and cornbread stuffing, green bean casserole & loaded mashed taters. This recipe sounds fantastic! I think my family would prefer this one!! !